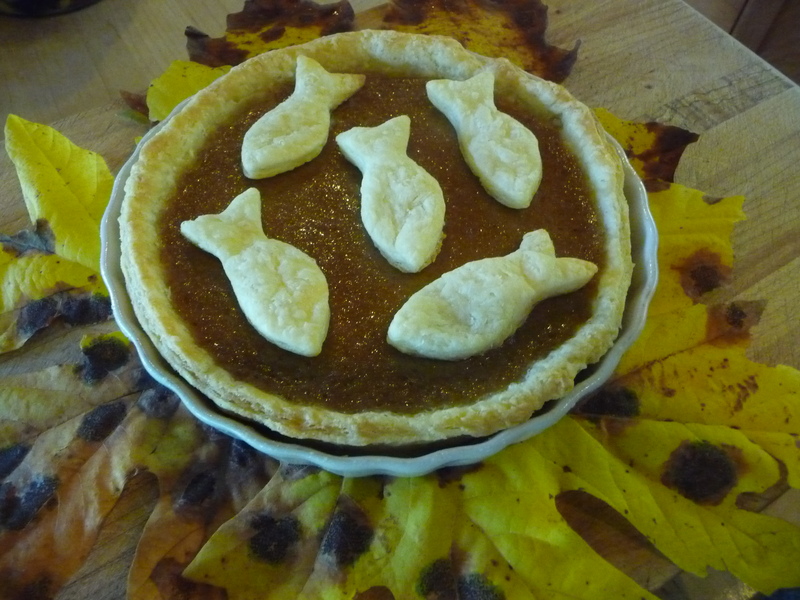 For our Thanksgiving dinner: a pie made with one of the zucca tonda padana pumpkins (mine weren’t huge) on a bed of bigleaf maple leaves and under those a cutting board made of bigleaf maple wood. Riches of the season! ~ by theresakishkan on October 13, 2013. This entry was posted on October 13, 2013 at 7:12 pm and is filed under Uncategorized.You can follow any responses to this entry through the RSS 2.0 feed.You can leave a response, or trackback from your own site.